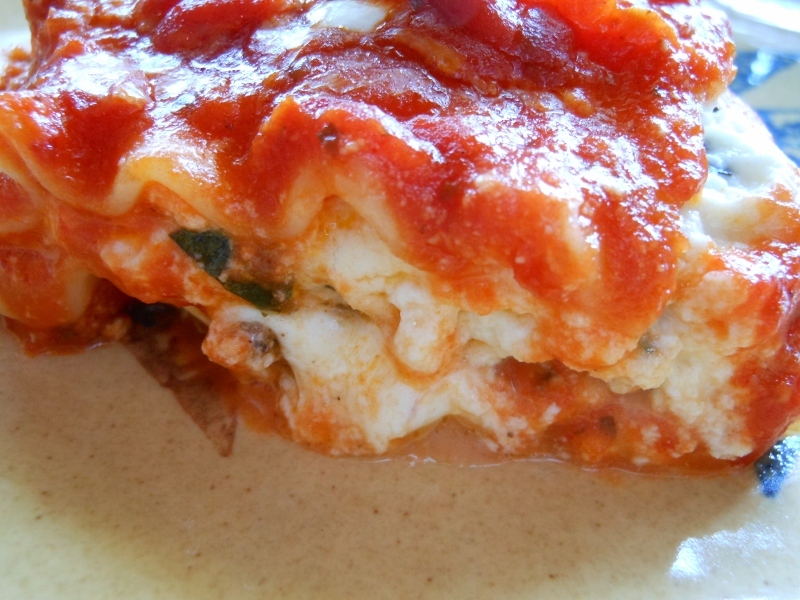 Here’s the lasagna I mentioned yesterday in my basil post. This came out very well. I used a square pan so I needed to trim my noodles a bit and really only used 7; adjust pasta as needed for your pan size. I really enjoyed the fresh mozzarella but any mozzarella will work. Fresh mozzarella is a bit moister and softer than the pre-shredded type but both have their own charms so use your favorite or even an italian cheese blend if desired. Cook meat and add salt and pepper if desired. 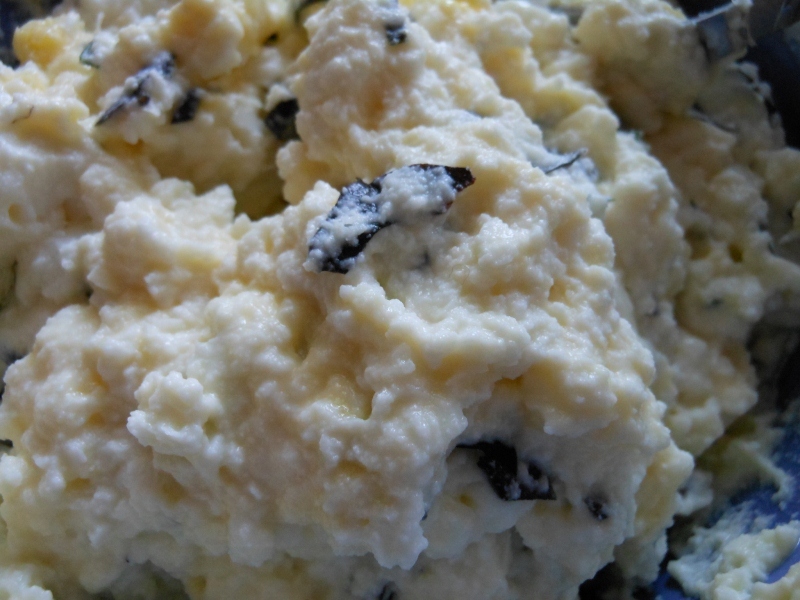 In small bowl combine ricotta, egg, basil, and parmesan cheese. 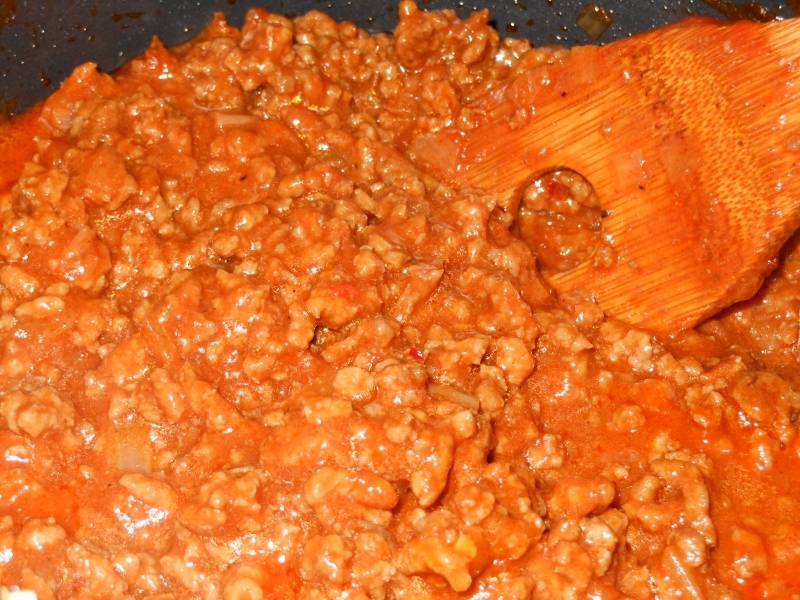 In bottom of oiled baking dish pour about 1/4 cup of spaghetti sauce. Lay 3 noodles across bottom of pan ~ trim noodles if needed; I used a square pan so my noodles were a little long. 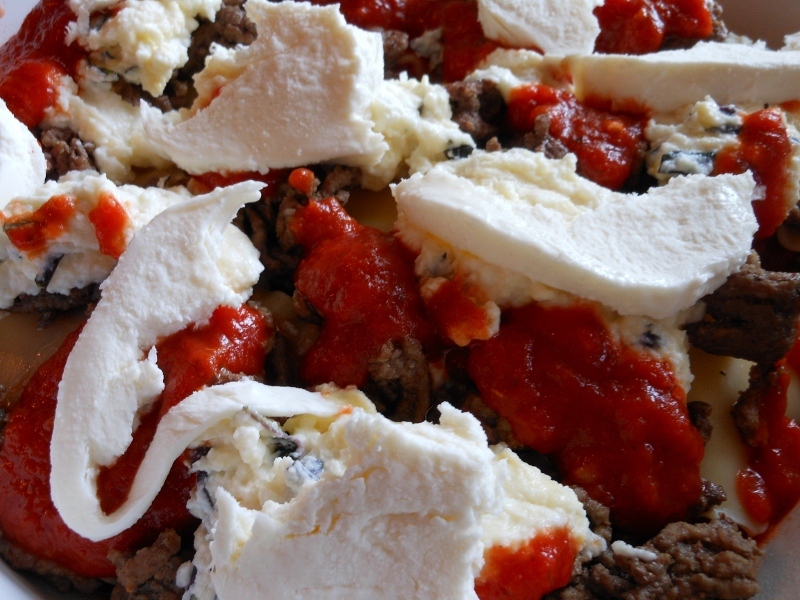 Layer 1/2 of the meat, 1/2 of the ricotta mixture, and 1/2 cup spaghetti sauce and about 4 ounces of mozzarella. Repeat with next layer. 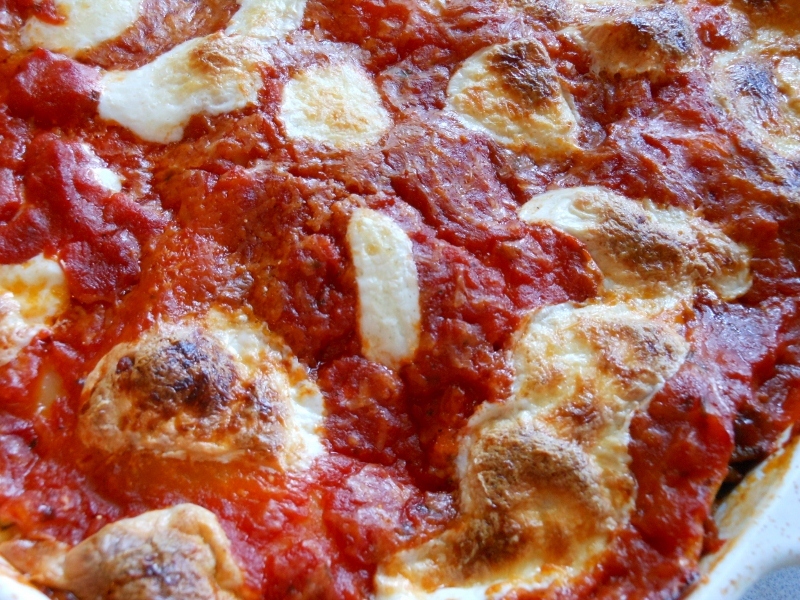 Lay final layer with noodles top with remaining sauce and mozzarella. Sprinkle with additional parmesan if desired. 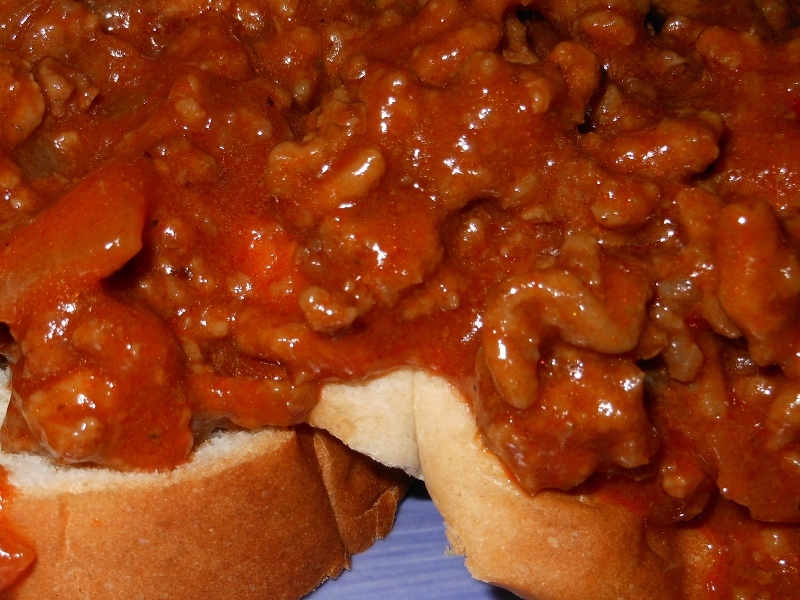 I can’t remember the last time I made sloppy joes. To be honest I didn’t set out to make them today, but I couldn’t decide what to do with my package of ground beef and this sounded easy and delicious. This is mom’s recipe with a couple of changes ~ I like to spice mine up a bit. Cook beef and onion until meat is cooked through and onions are tender; drain and add remaining ingredients Bring to simmer and reduce heat; cook for 15 minutes to combine flavors.